AMK Blister Medic Foot Care Kit | BUDK.com - Knives & Swords At The Lowest Prices! 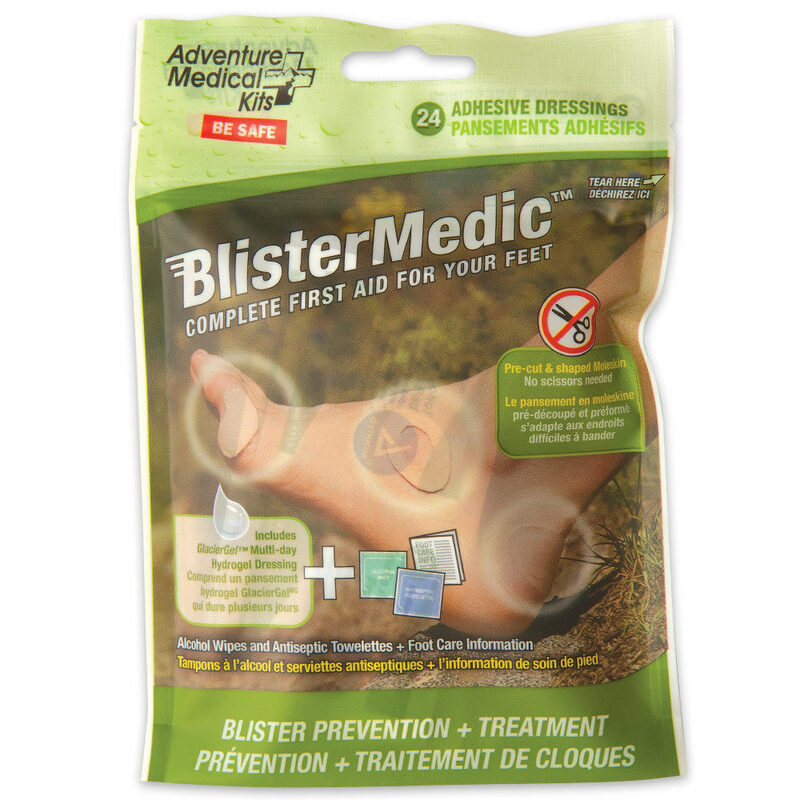 Adventure Medical Kits&apos; improved Blister Medic rounds out the blister family of products by combining GlacierGel, Moleskin, antiseptic towelettes, and alcohol wipes into one complete ultralight foot care kit with 15 dressings and 15 wipes. Ideal if you are taking care of a group of hikers or your family.